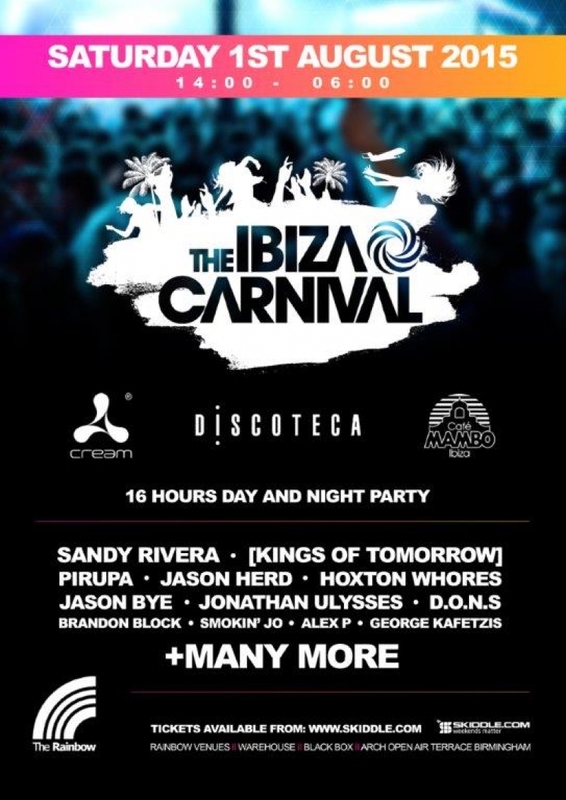 Ibiza comes to the UK! On 1st August the Ibiza party vibe comes back to the UK as Cafe Mambo and Cream join forces to throw a joint party at Rainbow Venues, Birmingham. With an out door terrace where you can enjoy the sun by day and the club open for the real action at night! If you haven't got your ticket yet, we'd highly recommend you do, with last years Ibiza Carnival being one of the talking points on the UK club scene of last year! Line up includes: Jason Bye, Brandon Block, Pirupa, Kings of tomorrow, Sandy Rivera, Jason Herd and Hoxton Whores and many many more!